I'm looking for a cheap, functional ICD Freestyle board for an '05 Naughty Dogs Freestyle (horizontal I believe). As of now the board is completely fried. I am just trying to get this gun working for a friend and put a new noid into it ($60) and might end up getting a new LPR ( I think the stock one is missing a disc or something). If anyone has any old boards they are looking to get rid of, I don't really care what type it is (stock, nox, kila) so long as it works and it's cheap. Please post here or PM me on PBNation (which I check much more often, the scrrenname on PBN is "Wild Huntsman," I have 5 positive feedback and 0 negative. 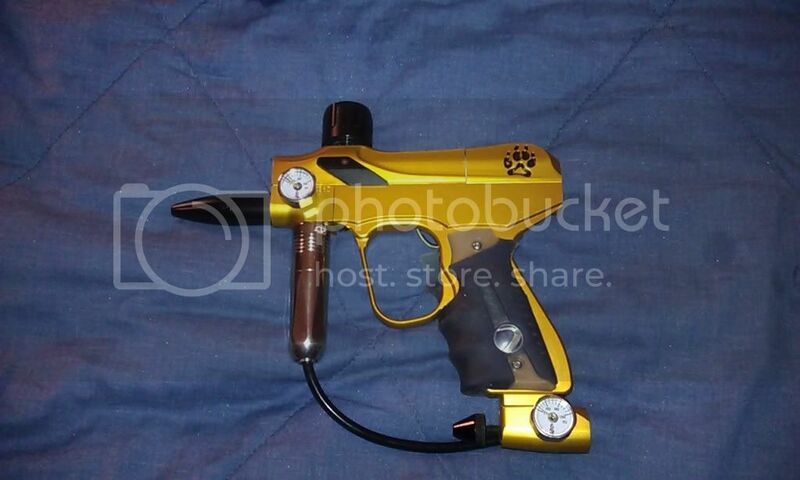 Here's a pic of the gun I'm trying to save, incase it moves anyone to generosity. Note, I also need an LPR Cupseal. Thats a nice fs. Welcome to the forum and you will find ANYTHING you need here. Free bump lets get this man some help. Nice color on that freestyle. Welcome to ICDO. If your LPR is missing a piece, you might be able to find the missing piece. Gorgeous freestyle. Sadly, I don't have any of my FS boards, or I'd just ship you one. Welcome to ICDO! 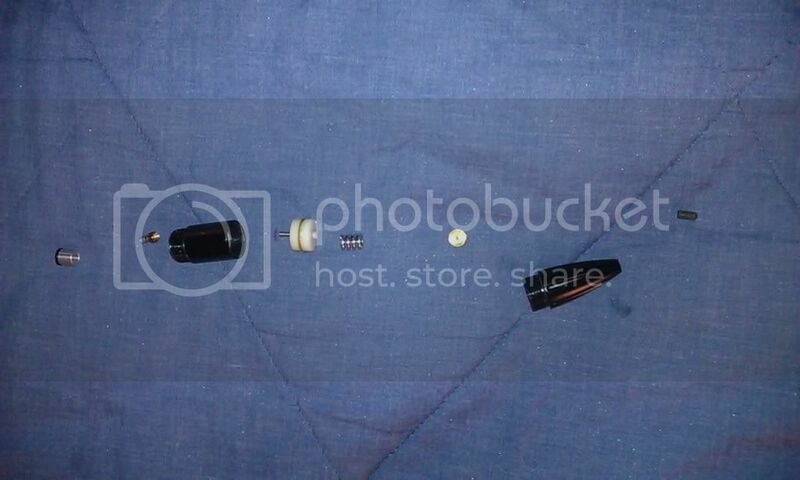 On another note, if it's the disk between the adjuster screw and spring, one from a bko lpr will work. I had to do the same thing. Yeah that is the disc I believe. I just used wire cutters to get the microswitch off the stock board. We had to do a ghetto solder job and we put the switch on the wrong side of the board, so it wouldn't fit. I'm gonna try and resolder it when I have a chance to get a new microswitch (i hope radioshack has them cheap). I took apart the LPR and just got a photo of everything. Looking through the manual diagrams didn't help me much. Everything below is in the order it came out of the LPR. The silver piece at the base does have the oring. Thanks for all the support guys. I have $60 in a new solenoid and I'd like to avoid anymore big purchases as much as possible. The disk looks right. Be careful with the harness make sure you aren't doing anything too drastic to it or you may be having nobody(his screen name) rebuilding it. If you really cut the switch off then you will need a new one. Desoldering it would have been a better idea. You are correct, there should be a cup seal between the lpr body and the small brass cup. They can be found pretty easily. hey, not that i don't support Have Blue and Airsoldier, but i carry microswitches and everything else to make harnesses. $5 shipped for a 25 gram(featherlite) switch. or, send me the harness, i'll rebuild it with your parts that you want to keep or change. take a look at my harness post. Peters, i'm docking you Karma points for that post.